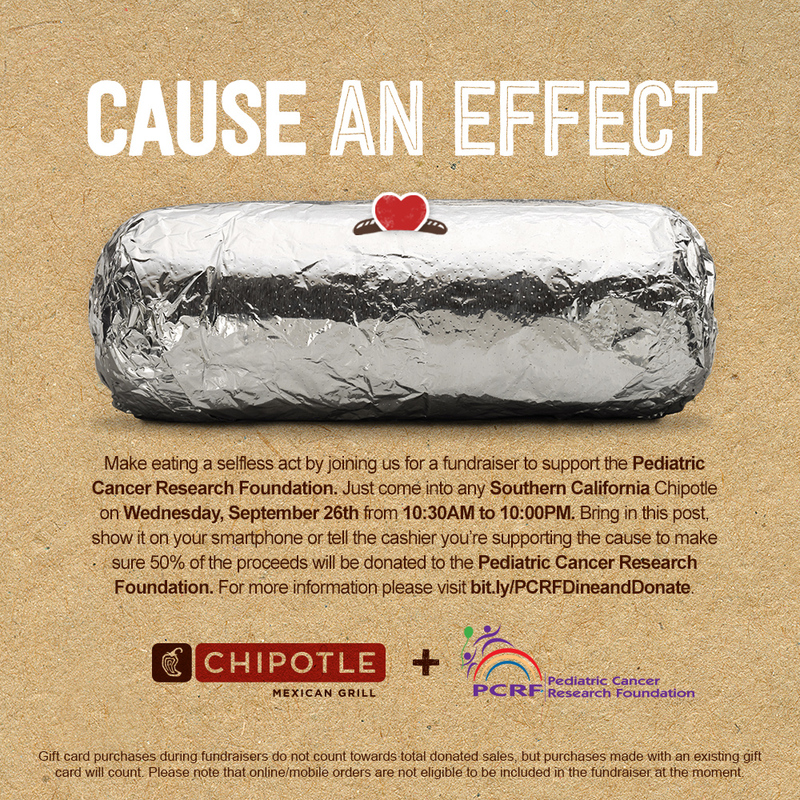 All day Wednesday (September 26), Southern California Chipotle locations will host a fundraiser for Pediatric Cancer Research Foundation, an organization dedicated to helping to improve the care, quality of life and survival rates of children with malignant diseases. To participate, present this flier or simply mention the fundraiser to the cashier and the chain will donate 50 percent of your bill to the organization. For more information click here. For a list of other participating restaurants, click here. This entry was posted in Mexican and tagged fundraisers by John Plessel. Bookmark the permalink.